Paramount, 1927. Directed by Lewis Milestone. Camera: Walter Lundin. 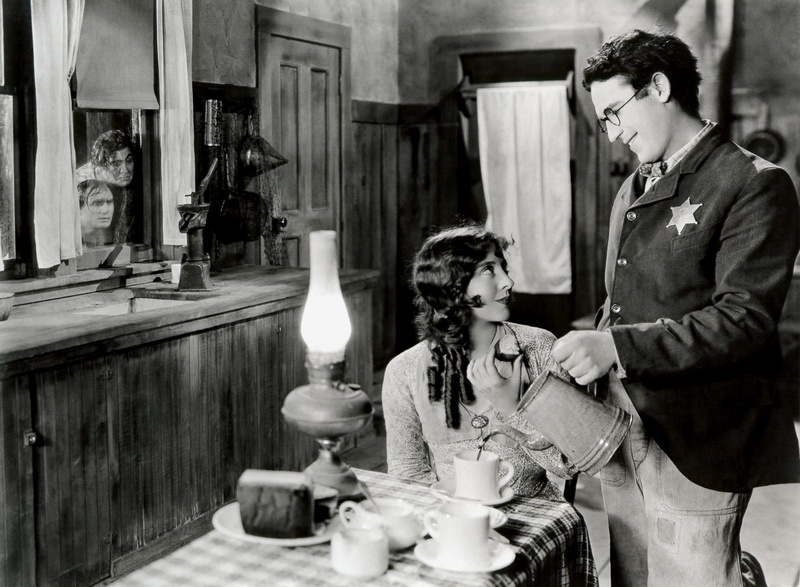 With Harold Lloyd, Jobyna Ralston. Along the bank of a river, a horse-drawn wagon is traveling, carrying Mary Powers and her companions, Sandoni and Flash, as well as a pet monkey. The three maintain "Prof. Powers' Original Mammoth Medicine Show" since the recent death of Mary's father. Nearby, the Hickory farm is in operation, with brothers Leo and Olin helping father Jim, the Sheriff of Hickoryville, drag home a huge tree for the firewood. "Harold, the youngest Hickory, was born on April Fool's Day. The stork that brought him could hardly fly for laughing." Harold is doing the laundry; he is the cleverest and wittiest of the brothers, yet lacks in brute strength and confidence, and believes himself severely inadequate, chiefly because he is constantly being reminded of that fact. The three elder Hickory men have gone off to a town meeting: "You stay here, son. The town meeting's no place for boys." While they are gone, Harold puts on his father's sheriff gear, and fantasizes about the job: the Medicine Show passes by, and Harold is conned into signing a permission slip for the Show to play the town (something Sheriff Jim would never allow). At the town meeting, Sheriff Jim is given guardianship over the money for a new town dam―one political foe, Sam Hooper, suggests the money, collected from town folk, might be safer elsewhere. Later, Mary wanders off into the woods, admired by Sandoni. Harold, certain that his father will be angry about the Medicine Show, happens upon Mary, who is hiding from Sandoni's unwanted advances. Harold defends Mary, and once he wields a stick at Sandoni, the bad guy runs off: Harold feels great about that, until he notices that there was a snake at the end of the stick, and that was what scared Sandoni. Mary must return to the Show, thanks Harold for his help, and walks off. As she begins to disappear over the hillside, Harold climbs a tree to maintain a glimpse of her. He calls to her, and asks her name. "Mary." She continues on, and Harold ascends further up the tree to ask where she lives. From a greater distance she tells him, "With the medicine show-down by the river." She once again disappears from his sight, and even further up the tree climbs Harold, just to say goodbye. She replies, from a great distance, "Goodbye!" Later, Sheriff Jim finds out that Harold signed the permit for the Medicine Show, and promptly places his badge on his youngest son, telling him to go and get rid of them. Scared and flustered, he arrives at the show. 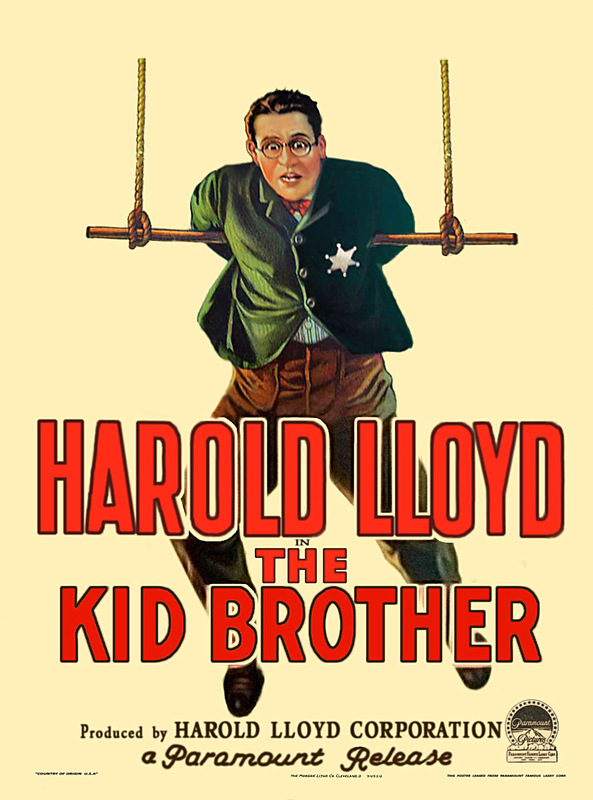 Harold is played for the fool, being strung up by a pole on stage, when he tries to stop the show. As Harold tries to free himself from the rope, he knocks over a candle, which starts a desperate fire. Mary saves Harold by breaking the rope with a knife, but the entire show is burned to the ground. Mary is now homeless, it is raining torrentially, and Harold offers her his couch. Brothers Leo and Olin, lolling around the house in their long johns, scramble to get out of the room when they see a woman in the house! After Harold gives her something to eat and some coffee to warm her bones, Mary is taken to the Hooper house, after Mrs. Hooper declares, "She can't stay here where there's no women folks. It ain't decent." Later that day, Harold and Mary go to the dam-building party. It is discovered, in the midst of the revelry, that the dam money has been stolen from the Hickory house. A posse is sent out; Jim Hickory is accused of theft, and while Leo and Olin search for the real thief, Harold stays behind. "Son, you Might get hurt―this is a man's job" is Jim's response to his youngest son's plea to help clear his name. Mary, unaware of Harold's standing within his family, inquires why he is not joining the search. "You see―my father and brothers don't reckon much on me―and I guess they're right...I'm not what you think I am. I was just pretending." Mary proceeds to encourage Harold: "...Have confidence in yourself and you can't lose." Harold delightedly replies, "Do you really believe in me?" Mary answers with a kiss, and Harold Hickory becomes a man. Harold's sworn enemy, Hank Hooper, sees Harold with "the girl from the medicine show, and they're getting away!" This starts a fight between Harold, Hank, and other men who think Mary is sneaking off with the town's money. 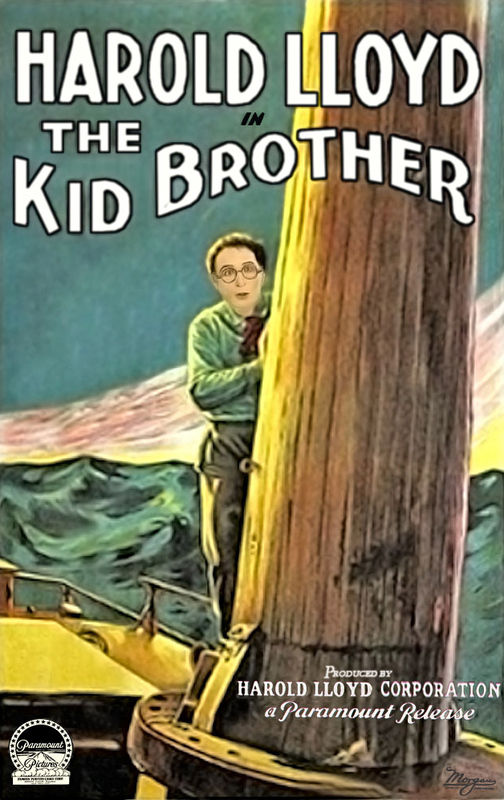 Hank exploits the chance to knock Harold out, and throw him in a boat, which starts floating away. 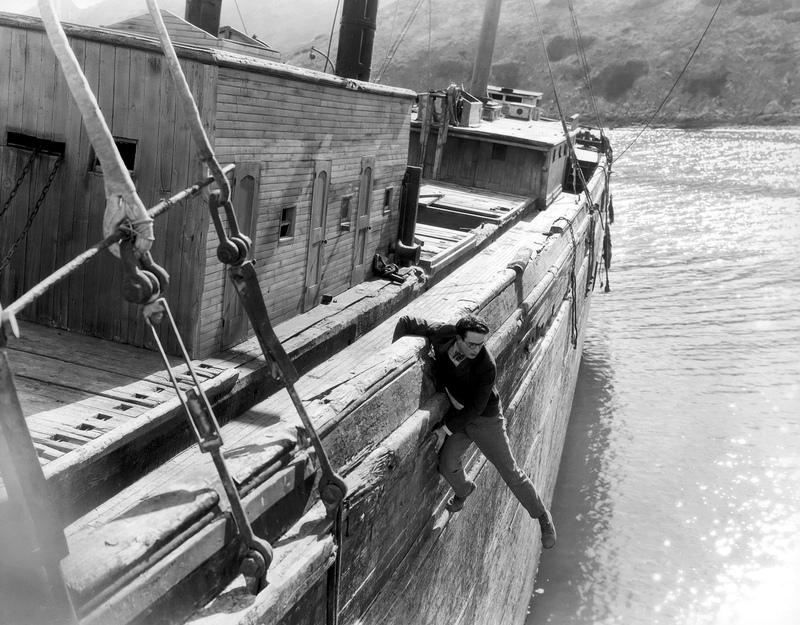 Harold eventually comes to by a large abandoned ship, the Black Ghost; a monkey throws down a piece of paper from the ship―a Medicine Show announcement―Harold now knows that the men who took the town's money are on that ship! He quietly climbs aboard, in time to see Sandoni kill Flash (who had tried to split the money a tad unevenly in his own favor). 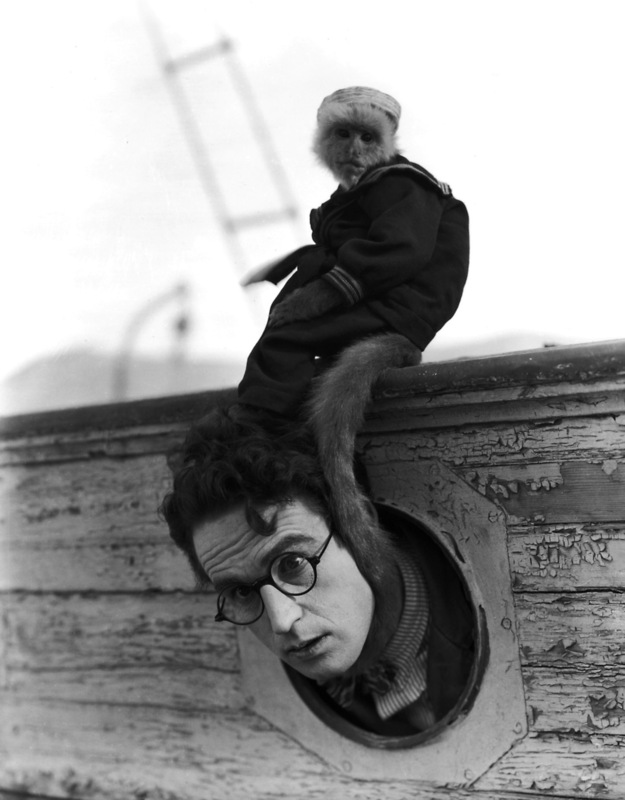 Harold tricks Sandoni out of the room where the money is (with the help of the monkey), and manages to overpower Sandoni in the water (the strong man cannot swim). Harold piles life preservers on Sandoni, up to his neck, and manages to arrive back to town with the thief, and the money. Sheriff Jim beams: "Son, you're a real Hickory." Mary and Harold happily stroll of into the sunset. 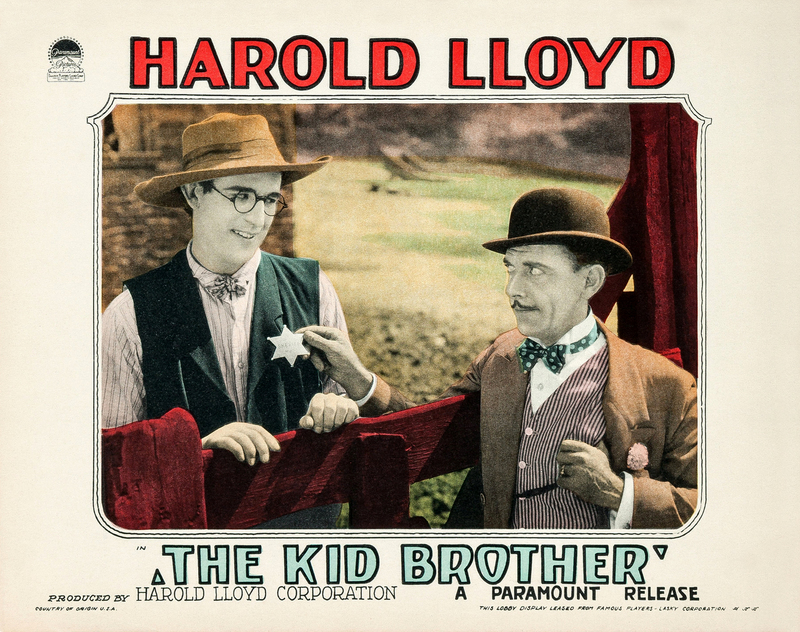 "All of Lloyd's other pictures have been perfect and so is The Kid Brother." "Technically this is the best piece of work Lloyd has done. It should prove one of his great successes with any audience." "Where, oh, where does Mr. Lloyd find all his gags, rare, snortingly funny gags that trip upon each other's heels they come so fast and are so spicingly amusing."